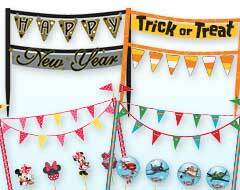 Browse our selection of Cake Supplies to add more sweetness to your celebrations. 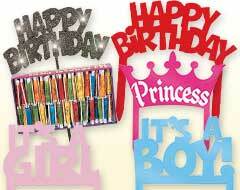 Our cake supplies include everything you need to make your occasions even more special that too at affordable prices. 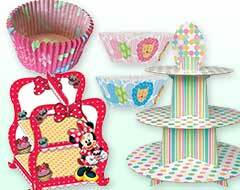 From themed and non-themed cupcake liner cups to fancy tiered cupcake stands and holders, we offer cake supplies for any kind of delightful baked treat you ever imagined. Themed cupcake toppers like Mickey Mouse, Winnie the Pooh, Pretty Princess, Cupcake picks, Cake banners, Icing decorations, Sprinkles and more. All these cake supplies are tested for their safety and quality and will last throughout your celebration.With us every day is a birthday! Shop now for a delightful treat.